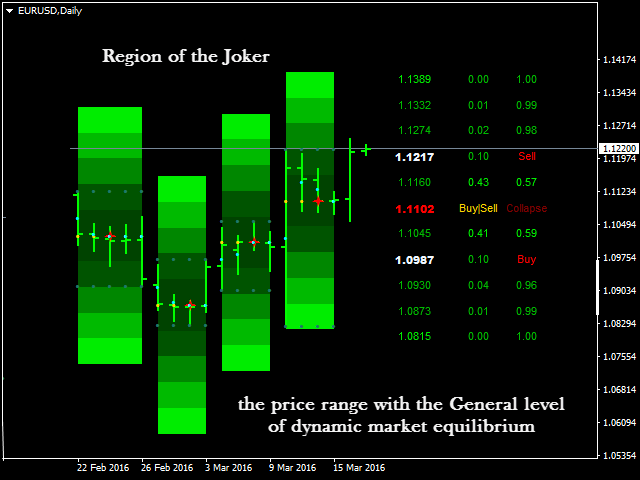 The indicator displays price areas with a similar level of dynamic market equilibrium and modal structure (Joker area of Sherh model). 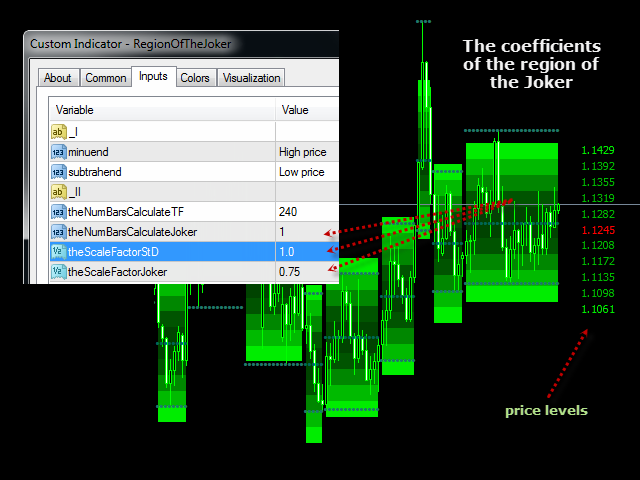 Price ranges equidistant from the dynamic equilibrium level are equal to the standard deviation (with the appropriate factor) of the specified price fluctuation magnitude. 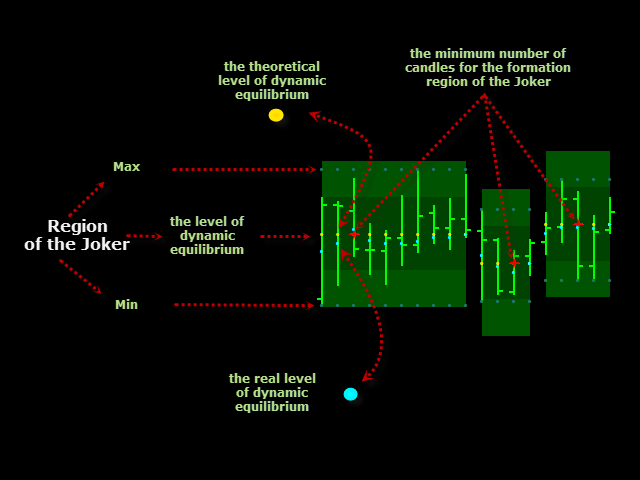 The value equal to the amount of bars (candles) used in the displaying an appropriate Joker area indirectly corresponds to a potential collapse (explosion, destruction) power of the price areas. 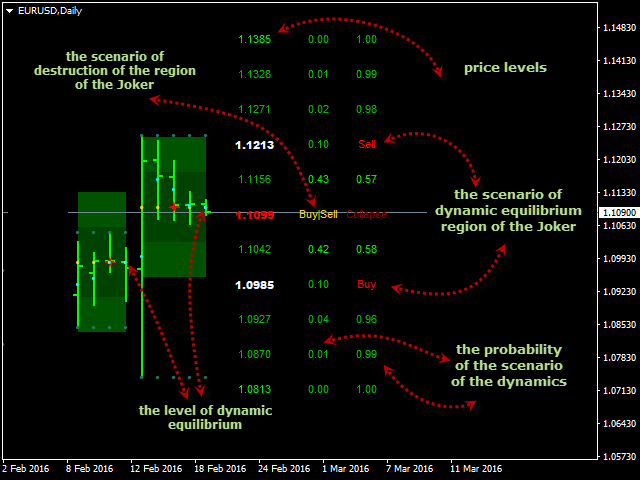 If we assume that the influence of macro-economic data is too insignificant to be considered, leaving a Joker area by the price is always equally probable. 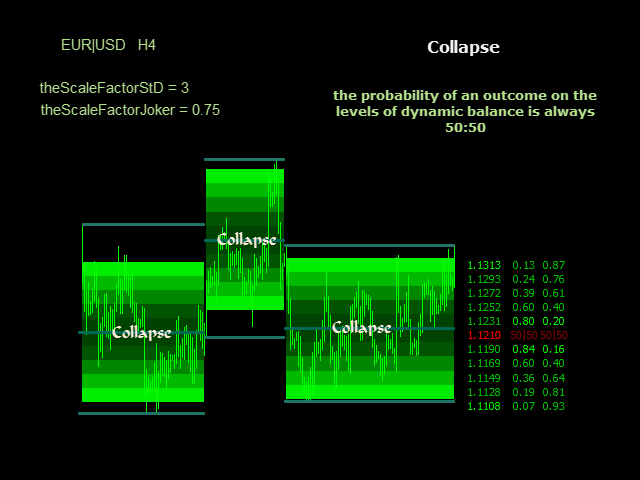 Consequently, trading tactics and strategies claiming the efficiency of the support/resistance roll-back or breakout are false and detrimental to deposits. 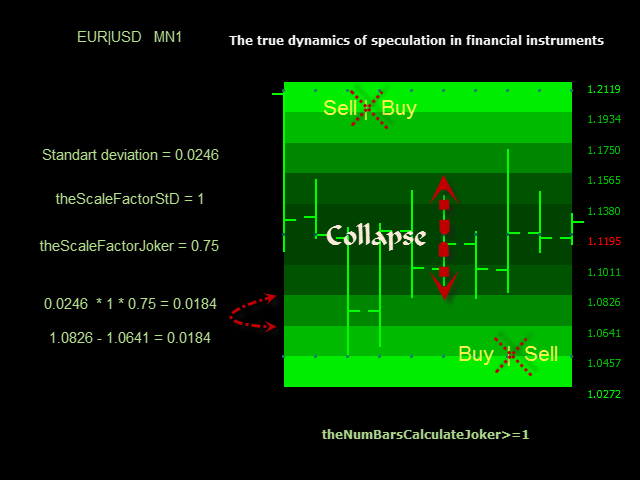 Collapse (explosion, destruction) of Joker areas always occurs at the levels of the dynamic market equilibrium. 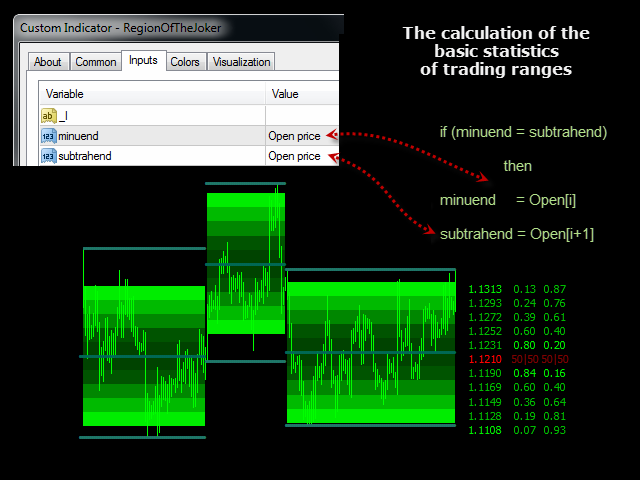 The indicator code has been revised in order to implement the ability to display the Riverbed (channel) of the price areas with a single level of dynamic equilibrium.